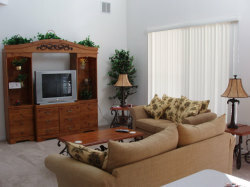 This home is probably one of the finest properties you will find in Florida, on many points. It is to be found on the exclusive enclave of Emerald Island which is, probably, the most sought after community in central Florida. The home benefits from FREE local and reduced rate long distance telephone calls and FREE wireless internet connection. The property also boasts 6 bedrooms, 4 with en-suite and split as 3 doubles and 3 twins. 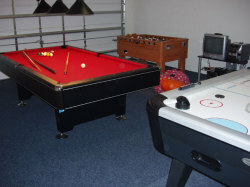 1 is a specialist Disney room for the children. 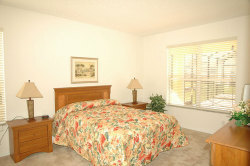 The main bedroom also has a �Jacuzzi� bath All bedrooms have TV/DVD, huge closets and plenty of storage space. 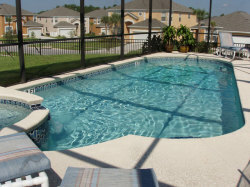 Outside is a fabulous, over sized, heated, private pool with 8� bubbling spa. The over sized deck accommodates substantial outdoor seating, tables and sun loungers. There is also a covered linai (porch) which provides welcome relief from the Florida sun whilst still being outside. There is adequate private car parking. Numerous restaurants, shops and night life are minutes from the home and the world famous �I Drive� is 10 minutes away. If this was not enough then, if you don�t want to stay at the park to watch, then watch Disney�s fantastic fireworks from the upstairs bedroom�s. Basically, with this home there is something for everyone and just where you want it. All rates inclusive of taxes and subject to discount on enquiry.